Hockenheim is on the Autobahn A6. You will find signs wich take you to the parkingfields around the venue. Best is to be there a day before. There is always much traffic jam at the day of the event. You walk from the city or from the parkingfields, maybe take a bus / taxi It�s always a kind of chaos there. Under events you will find a link to "Open Air" Under "Auf dem Ring" you will find links to the Hotel at the Racetrack and the Autobahn A6 (Rastst�tte West) (Clever to stay there because you are allowed to park your car close to the venue). You also find maps and more information about the parkings etc. here. go to this site and under "Formulare" you could download PDF Files with information about Hotel or private rooms. 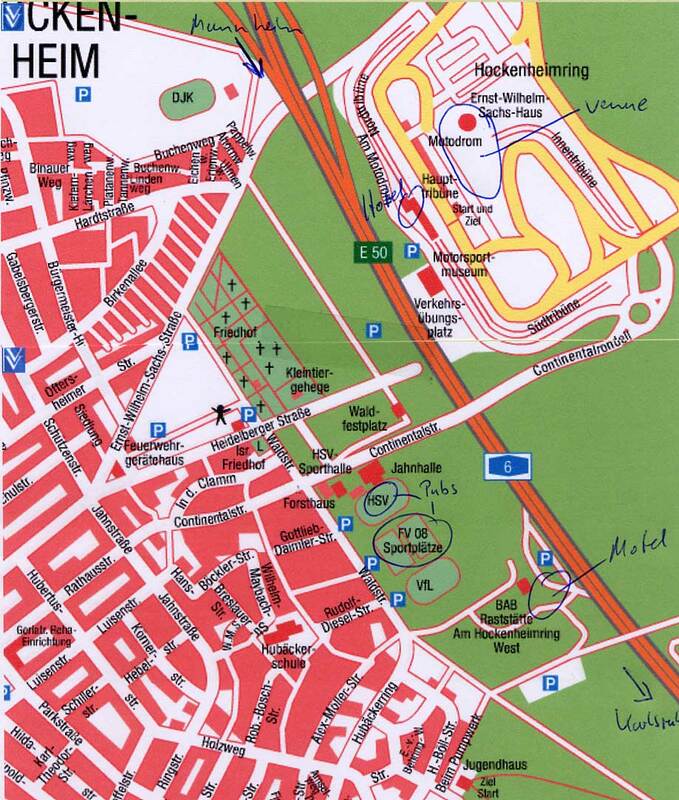 There is a "Best Western Hotel am Hockenheimring" directly by the venue. both far away from the venue. Thanks to Klaus Lauterbach and Johannes Delmere for information!